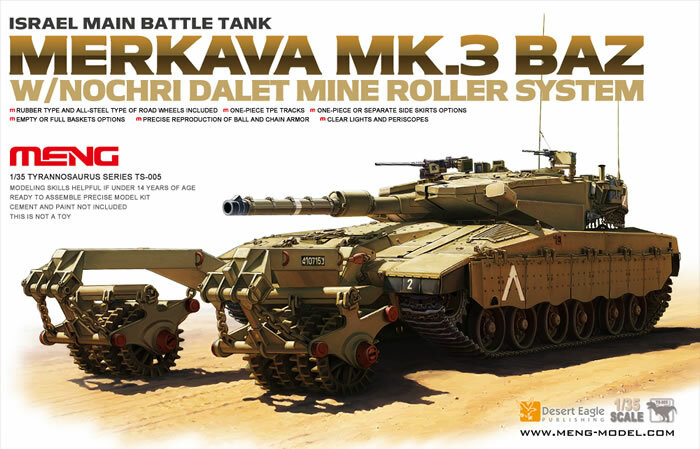 AUF1 155mm Self-propelled Howitzer, which is famous for its advanced fire control system, universal turret as well as quick response speed, saw operation during the Iran-Iraq war and peacekeeping operation in Bosnia and Herzegovina. 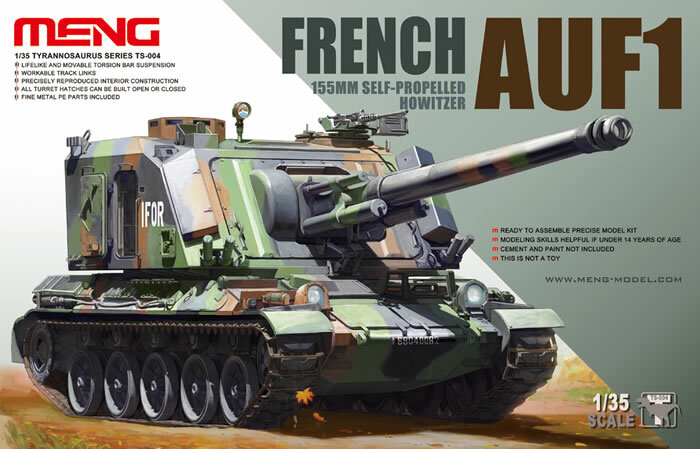 MENG now brings precise and accurate reproduction of this French main equipment which owns much similarity with AMX-30B MBT. Its interior construction is precisely reproduced and all turret hatches can be built open or closed. Fine PE parts and workable track links are also provided in this kit. Let’s work on it and experience its unique glamour! More information about both kits will be available in the coming weeks.